The European Commission estimates that the difference between what its expected VAT revenue is and the amount actually collected is the equivalent of a total revenue loss across the EU of 14.03%. 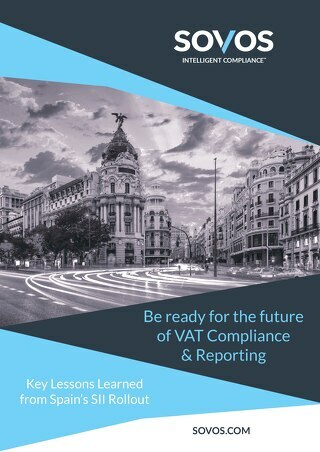 Its Commissioner for Economic and Financial Affairs, Taxation and Customs, Pierre Moscovici, recently articulated the EU’s tough new approach when he said, “Our Member States are losing tens of billions of euros in uncollected VAT revenue. This is unacceptable”. With Making Tax Digital, the UK has set out "to become one of the most digitally advanced tax administrations in the world." What does that mean for companies doing business there? Find out here. A major change to Mexican VAT policy will take effect Nov. 1 when a new process for cancellation of electronic invoices becomes law. Get all the details in this definitive guide. A mandate that requires companies to issue a supplement for the reception of payments is now in effect in Mexico. 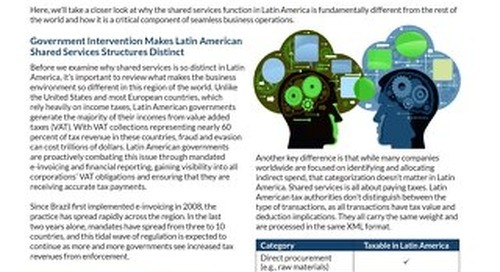 It has a major impact on payment processing and VAT calculation in Mexico. Read more. 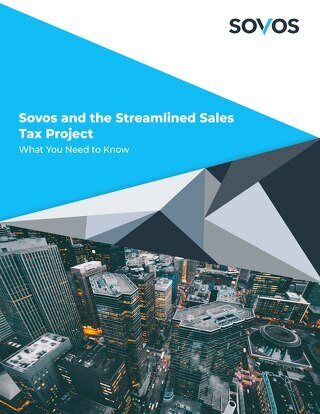 "The product demonstrated at the SAP Ariba event showed that Sovos has the pulse of the market regarding the pain around sales and use tax management." A new Aberdeen Group study reveals how and why organizations are centralizing and automating tax-reporting processes to save costs and avert financial penalties. 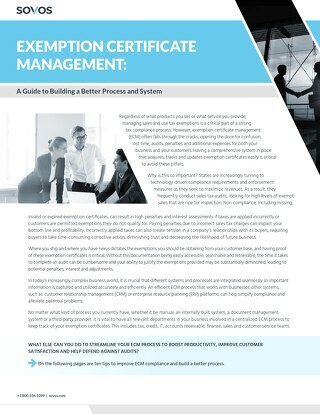 Ten tips to improve exemption certificate management compliance and build a better process. 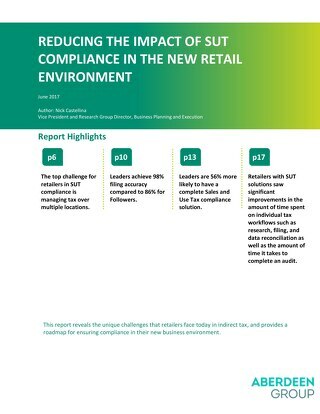 How leading software organizations remove sales and use tax compliance hurdles, where many spend 2 percent of revenue annually with average penalties per audit of $106,293, according to Aberdeen. 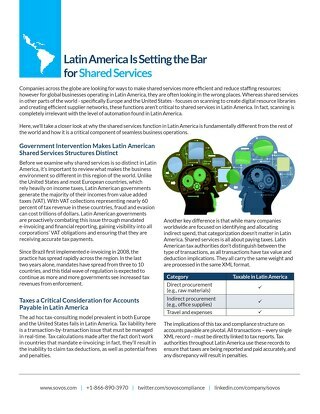 CRS and FATCA reporting have become major concerns for financial institutions. 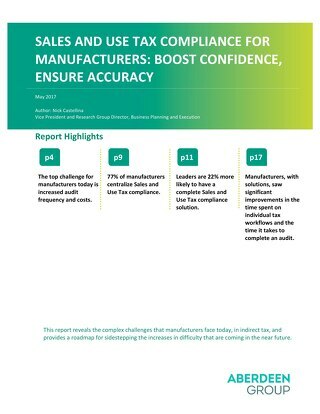 Read this Aberdeen research report to find out how leading FIs are averting risks and staying compliant. Take a journey through the dark web and learn how to get to it, who is on it, what is available on it, how it works and how to keep your tax reporting information off of it. 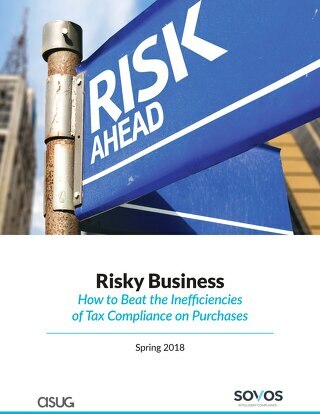 Aberdeen study of indirect tax challenges retailers face and roadmap for avoiding future risk. W-8s, the PATH Act and tighter reporting deadlines are all causing problems for tax professionals in banking. With tax reporting expert Cheryl Riedlinger, we delve into 1099 problems and solutions. 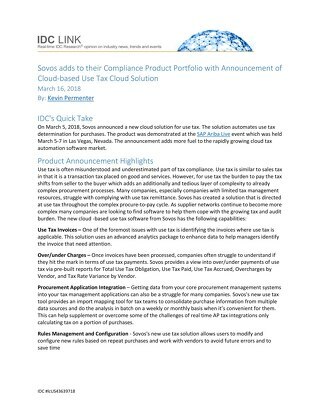 The first CRS filing in the UK was more difficult than many tax professionals at financial institutions anticipated. 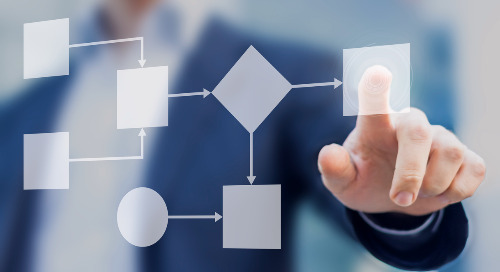 FIs will need to radically rethink processes to prepare for the next one.